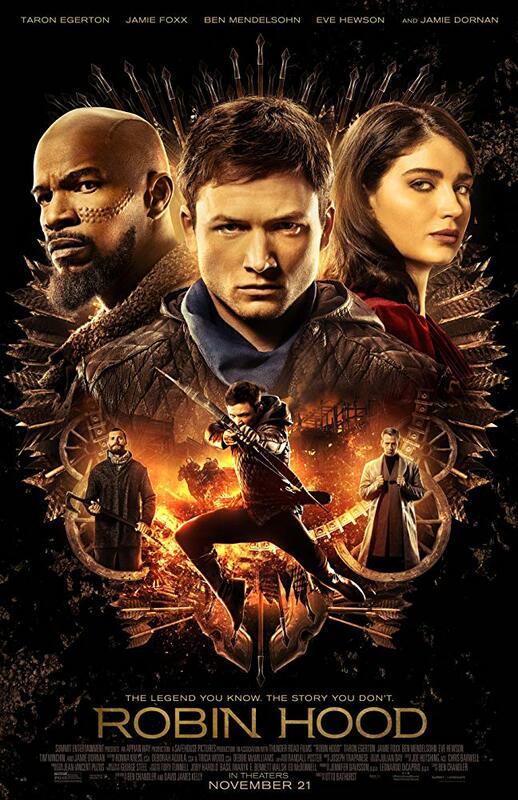 Robin Hood officially opens November 21, 2018, but you could you could see it early and for free! We’re giving away two specially reserved seats at a screening of the film happening at 7:00 p.m. on Monday, November 19, at the AMC Southdale theater. We’ll randomly choose 1 commenter to win 2 tickets! No purchase necessary. Total number of prizes is 1, each consisting of 2 screening admissions (equivalent retail value $25). Any other expenses incurred as a result of winning this prize, including taxes, are the sole responsibility of the winner. Fulfillment by Nemer Fieger. Eligibility: One entry per person. Void where prohibited by law. In order for an entry to be counted, the comment must be posted by 9:00 p.m. Central on November 16, 2018; the comment must follow the giveaway prompt as described above; and the account posting the comment must like the Twin Cities Geek Facebook fan page. Current Twin Cities Geek contributors and editors are not eligible for entry.